This weekend kicked off Indie Grits and instilled in Columbians the collective feeling that we live in a pretty awesome place. Friday night’s opening party, which this year found a new home in the parking lot behind the Nickelodeon, was co-hosted by Girls Rock Columbia and featured stellar female acts like the newly-formed Lashes and the much-welcomed Rachel Kate, who recently made the move from Charleston to Nashville. 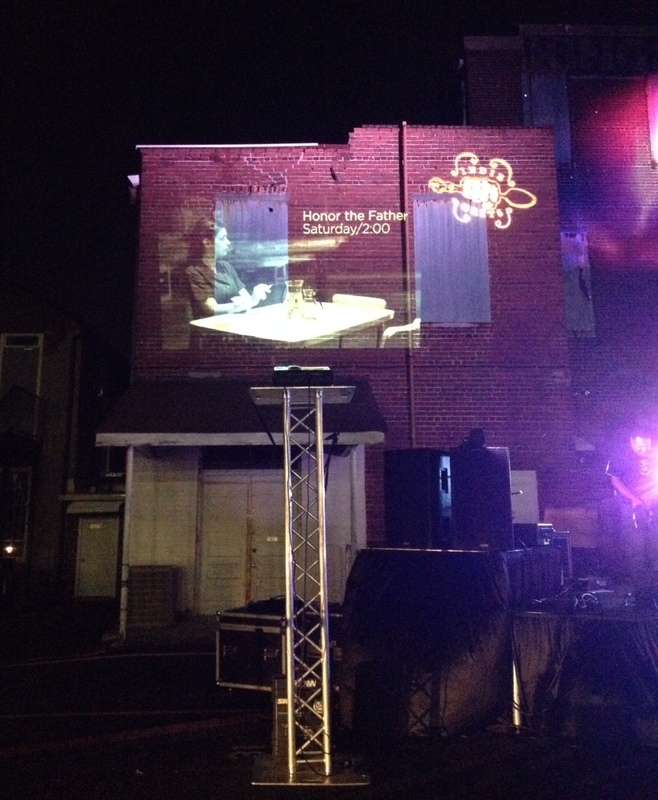 As it got darker outside, the performances were amplified visually as the brick walls behind the stage bore projections of the Indie Grits logo as well as a reel of clips from the films that will be featured at this week’s festival. Some festival-goers were skeptical about whether this new location for the opening night party would be as successful as having it on Main St., but this inventive use of the stage’s backdrop was just one of many improvements this new setting offered. Fast-forward to Sunday afternoon, which can often find a lot of us feeling bummed about the weekend coming to an end, but the return of Mad Men wasn’t the only event to quell those blues this week. 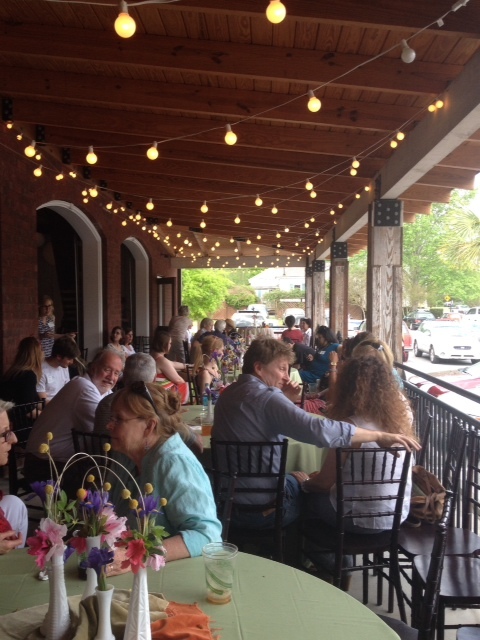 From 3-6 at 701 Whaley, Slow Food at Indie Grits brought Columbia’s top chefs together to create innovative dishes featuring fresh, locally-grown ingredients that attendees happily and voraciously partook in. 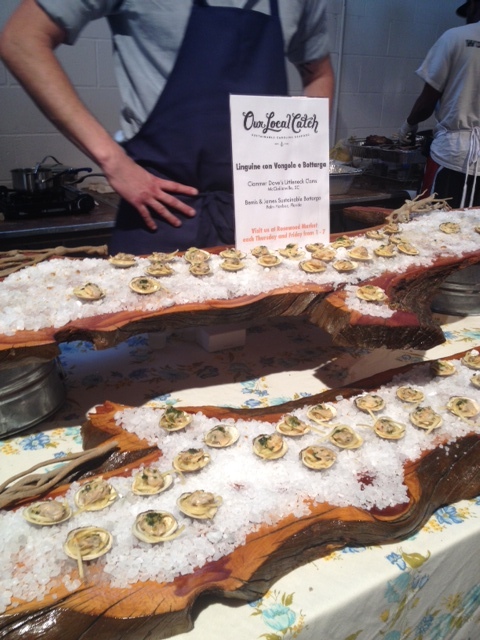 A discounted ticket price was offered to those who brought their own slow food-inspired dishes, resulting in a delicious potluck table in addition to the local chefs’ offerings, which were all-around incredible. Howard Stevens of the Oak Table served up a deconstructed carrot cake with goat cheese icing in which many in attendance couldn’t resist divulging in seconds and even thirds. Quoted one enthusiastic eater grabbing another plate of the dessert, “Y’all should be ashamed of yourselves.” Fresh seafood from Rosewood Market was featured in the form of littleneck clams served with linguine in the shell and an accompanying sip of pinot grigio. Chef Scott Hall of Scott Hall Catering nailed it with his dish of bacon jam and goat cheese with bourbon-soaked cherries and shallot rings. It was the kind of thing you take a bite of and then immediately get depressed because you know it will be over soon. (Or maybe that is just me.) These and the other fantastic dishes treated attendees to feeling like bona fide judges on Top Chef, with the added perks of locally-brewed River Rat beer served up by the great folks from The Whig and happy tunes provided by the Greater Columbia Society for the Preservation of Soul. 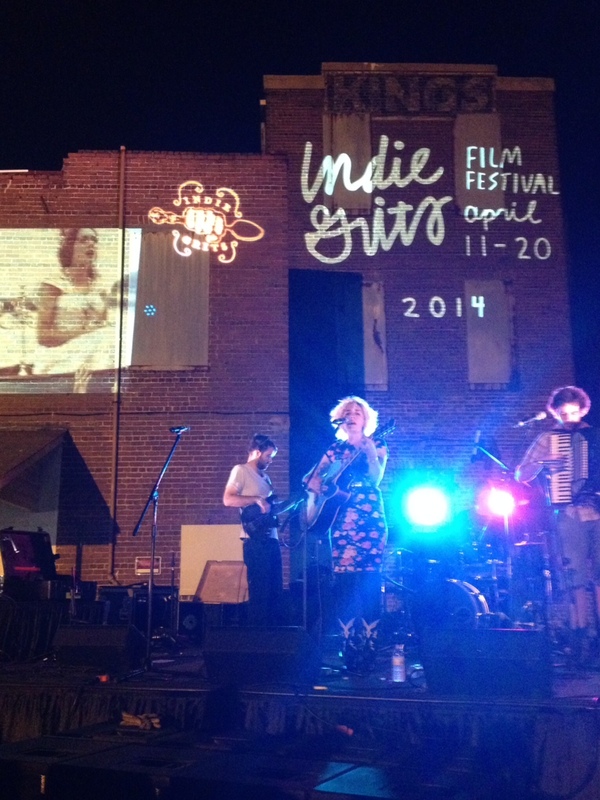 It was a great weekend and an even greater demonstration of how Indie Grits is more than just a film festival. It’s a ten-day showcase and annual reminder of all the artistic merit in our wonderful, creative community. The films this week were selected from hundreds of submissions from across the Southeast and are sure to impress, so get on Indie Grits’ website, check out the schedule, and buy your tickets. It’s going to be an awesome week.